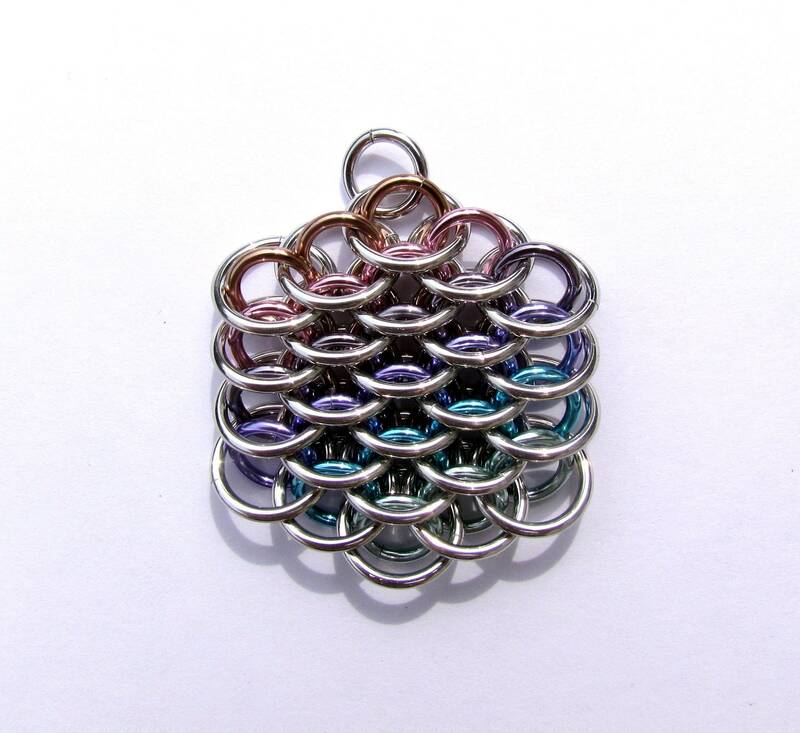 The dragonscale weave in chainmaille looks so unique and beautiful, and this little chainmaille pendant is the perfect way to show off this wonderful weave. Lightweight and small, it makes a great addition to any wardrobe! Made with bright and anodized aluminum jump rings, this multicolor pendant features beautiful pastel shades of gold, pink, black ice, lavender, sky blue, and seafoam green. It measures approximately 1 1/4 inches both vertically and horizontally. Aluminum is an excellent material to use, especially in chainmaille. While it is very durable, the coloring may be scratched if it comes in contact with a harder surface. Please keep this in mind when wearing and storing. To clean, just use a little mild soap, water, and a soft cloth. Thanks so much for looking around my shop!